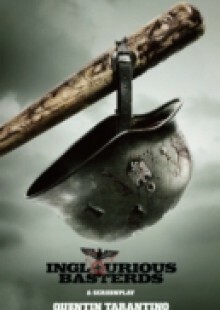 Inglourious Basterds is set during World War II and stars Brad Pitt, Mike Myers and Diane Kruger. A band of Jewish-American soldiers known as 'The Basterds' spread fear throughout the Third Reich by scalping and brutally killing Nazis, while in Paris a young Jewish French woman who runs a movie theatre is involved in a plot to kill Hitler during the premiere of a movie. Inglourious Basterds has the violence, humour, cracking dialogue, and band-of-brothers camaraderie of Reservoir Dogs, as well as the profound courage and sense of honour of the greatest World War II movies. Once again, Quentin Tarantino has created an unforgettable movie experience.